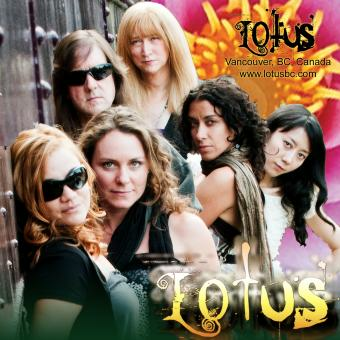 LOTUS is an indie female band from Vancouver, BC (Canada) that formed in 2000. Lotus is currently recording their third full-length album. They debuted their first album Better Day in 2005, with national distribution. Their first single ‘Little Train’ and several of their newer songs continue to get air play on commercial and college radio. The band released their self-produced album Under The Sun in 2009, which was recorded at Vancouver’ own Warehouse Studio (Bryan Adams'). A music video for the title track Under The Sun was produced by J.P. Finn (X-Files), and can be found on the band’s website and disks. The members of Lotus have strong musical backgrounds. With over a decade of performing together, Lotus has played shows and festivals across BC and the United States. In addition to playing regular gigs in the Lower Mainland, they also played shows for the 2010 Olympic celebrations, and more recently performed in Hawaii. For more press publications and info, please visit the band’s website.